I didn't expected that i would get 100 followers so soon.. even though i had planned the giveaway prize for it.. I know i know i already have a giveaway going on my blog for the new year but this one is important too.. and i swear you'll love the prize! 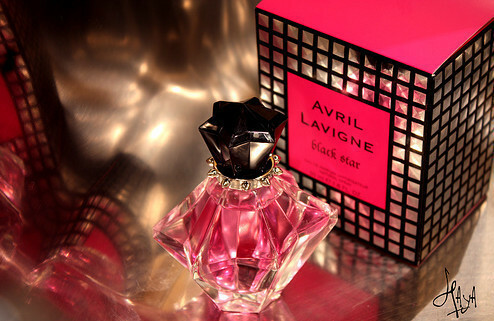 so for this i'll be giving away Avril Lavigne Black Star Perfume Set which Includes Her signature perfume 30 ml, metal spikes ring, a metal spikes clutch and a body lotion.. I'm a big fan of Avril Lavigne !! Oh, My !! Very pretty give away, thank you. your first name: Julia Pozd.